+ Blog, Tweet or Facebook about the giveaway with a link to the giveaway. Giveaway will run through Tuesday, April 26. I will post a winner on Wednesday, April 27. Oh what lovely fabric! I'd love to win it! These are gorgeous patterns! Thank you for the chance! OOO! Love the colours. These would make a fabulous journal cover! i am a follower and love that I am you have so many amazing ideas. these colors are right up my alley this spring! thanks for sharing. I subscribe through Google Reader, too! that's some really cute fabric! Love the colours! Thanks for the chance to win. Such a generous giveaway! I love those colors! and i'm a follower of your blog by rss ! oh, oh, oh I already follow your blog. Love the choice in fabrics! Oh and I'm a brand new follower! And I tweets about the post! Love the colors... these would be great for a Remains of the Day style journal! The fabrics are irresistable. I'll make pillow cases out of it. Loooove the fabric!!! Can't go wrong with green and blues! My favs! Great fabric! I'm a new follower. These are great fabric prints! beautiful fabric! Great colours too! So pretty... I'd love a chance to win! and i'm going to try my luck with a second comment (follower). fingers creossed! Love these colours!! They are so lovely!! I've been following you for awhile. :) Posting on FB now!! The crafters at our house love new fabrics! I'm a new follower- what a fun blog! I hpo to be lucky and win!!!! These are absolutelly fabulous!! Love to win!! And I already follow the blog #bloglines! Love it! Love the fabric colors! Thanks for the fun giveaway! I am just getting into working with fabric and these are AWESOME! These are such cute fabrics! I would love to win them and make a super awesome bag out of them! I've subscribed to the blog as well! I just posted about this giveaway on facebook! I follow your blog via My Yahoo. I have just started sewing and these fabric are so pretty! I just posted your giveaway on my FB! Woohoo! thanks! i love your blog! i would love to win the fabric. i could definitely use it with my projects! Beautiful fabric! I'd love to win! Great giveaway, I would love to win it, lovely fabrics!! Lovely! I'm already thinking of all the projects I could make ... 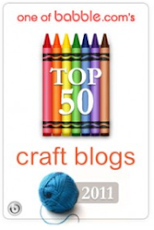 I have The Creative Place in my RSS feed and love everything you post! I would love to incorporate those fabrics into my living room decor. I have almost matching walls colors in blue and beige! So... pick me pick me! Oh I want those!!! Please enter me! Just found your blog and love it. I also love fat quarters. so many possibilities!!! The blue and gold remind me of our Idaho summers! Thank you for the give-away! Awesome fabric, I 'm already a follower and gladly take my chance to win this give away. (I 'm an international :-). 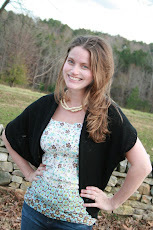 I love your blog and would love to win the fabric. It is beautiful!! Lovely fabric.. Can just imagine making pillow cover or quilt out of them..
Great fabric! I'm also a follower. ooooh pretty! thanks for doing such a cool giveaway! What fabric store did you find these at? SO beautiful. I would love to win! oh i left 2 comments yesterday but forgot to leave my contact...so blur! I just found your blog and I love it! I found it via Pinterest and immediately Twittered it to all of my friends. then I subscribed via RSS in my google reader so I don't miss anything! Keep up the good work!. Beautiful fabric! I would love to sew something lovely with it.